Chris Traietti is a Quincy native with a 27-4 record as a professional boxer. He has won multiple New England Championships as an amateur and as a professional recently won the World Boxing Council-United States Cruiserweight Championship. He has over 16 years of boxing experience and learned from some of the best coaches in the area. As an active member of the U.S Air Force Reserves, Chris also brings to the table different military exercises and regiments to incorporate into the classes that he teaches. 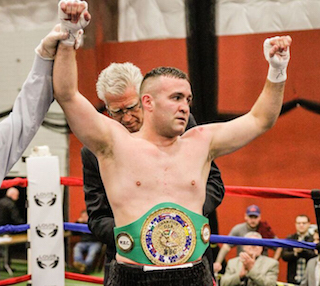 Quincy Native and North Quincy graduate Ryan Kielczweski is a professional boxer with a 24-1 record and has recently been rated in the top 15 in the world as a featherweight. 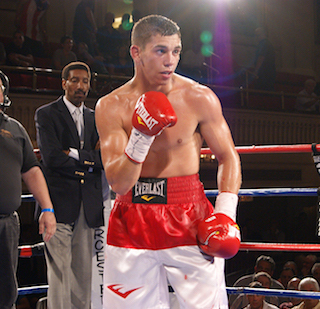 As an amateur Ryan has won multiple New England and National titles. As a professional Ryan has dazzled boxing fans with exciting national televised fights and was featured on ESPN TOP 10 for his 2013 knockout victory at Rockingham Park. Ryan has been fortunate to be trained by multiple world class trainers and brings a variety of drills and exercises to each of his classes that are both fun and trying.